Gummy’s official Facebook page released photos of Kim Jaejoong and Gummy rehearsing together on the 23rd. 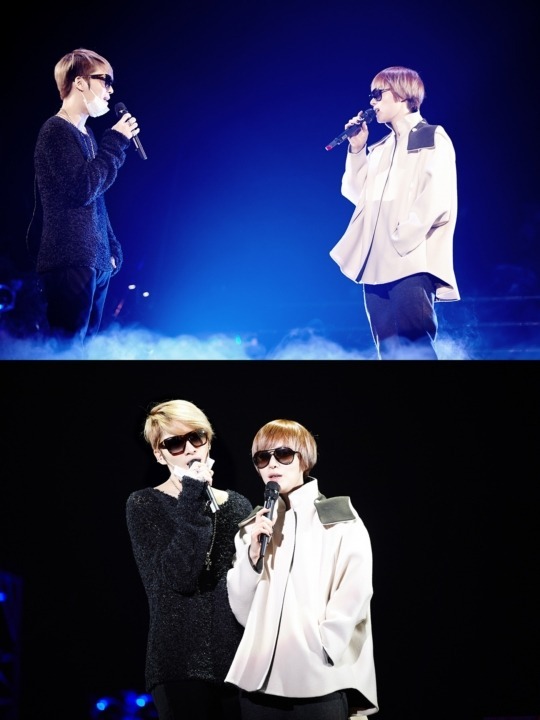 The photos show Gummy and Kim Jaejoong on stage, practicing their duet with sunglasses on. Meanwhile, Kim Jaejoong will be performing his ‘2014 KIM JAEJOONG 1st Album Asia Tour Concert in NAGOYA’ on the 22nd and 23rd of January at the Nippon Gaishi Hall. Kim Jaejoong plans to meet with a total of 18,000 fans.